anynoe tried to convert a standard AFN hardtop into a poptop-roof ? You can try Tembo 4x4, they supply/manufacture similar hardtops so they may have some experience with this, or maybe they can build a "special" on request. They are not far from where you are, just across the border in NL. 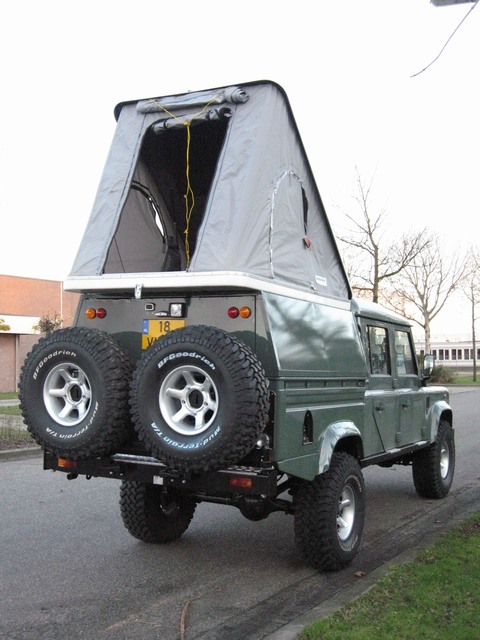 EDIT: Barten 4x4 has built something like this in the past, maybe have a chat with Joop? I have an AFN rooftop myself, and that idea comes to my mind all the times. I am trying to figure if its possible to adapt an enlarged pop-up roof (those made for 110 SW's) on top of the AFN, to make a camper cell out of it. I have found a US solution which might do the trick, but I would like to have the top raise more than just 17.5"
That is one hell of a bulky solution ! Going for something sleeker - working one a custom DIY solution as we speak.